The outdoor gear marketplace has grown so fast in America over the last decade that it has become nearly impossible to stay up to date with every new company making innovative, new, and useful products. While buying from the large, well-known corporations can be safe and reliable, there are many other smaller companies that are pushing the boundaries and limits of outdoor gear by focusing on a niche. Here are five companies that should be on your radar. Ultra-light and compactable gear is now the name of the game. Many companies and established adventurers are pushing the use of tarps as shelter over tents. Tarps are open, exposed to bugs and insects and often tough to set up in the elements. Tents are heavy and take time to set up. Tarptents are the best of both worlds. They are ultralight while also maintaining all the quality characteristics of a tent. The single walled shelters are bug-proof, water-proof and also have a built in floor and zipper. Those who desire a stronger barrier from the elements can choose among nine different double wall Tarptent shelters. 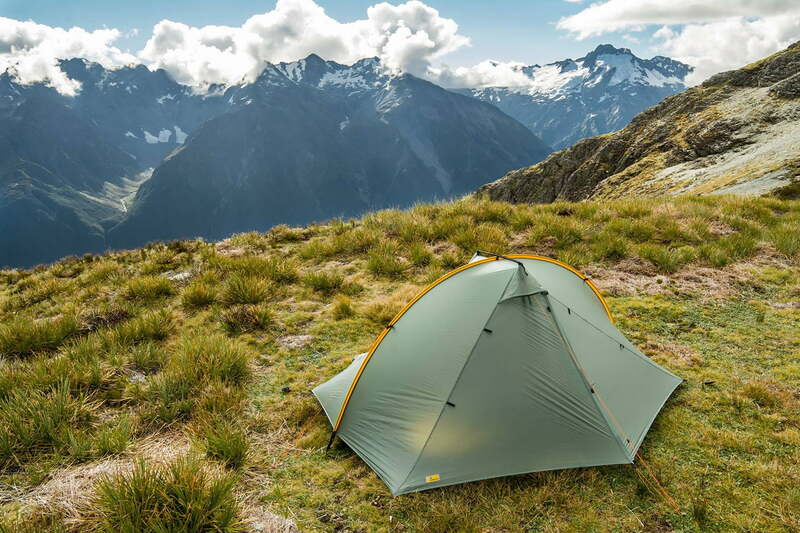 To simplify the set up process nearly every style can be put up with a ski or trekking pole in the place of a tent pole thus saving further weight. All Tarptents are manufactured in the USA with all USA materials right in Seattle, Washington. Whether swimming, snowboarding or skydiving, action cameras are everywhere. The cameras keep pushing the envelope by getting smaller, higher quality and more durable. The market is controlled by a few large companies but there are smaller players that focus on a more limited range. Reel Cameras is a little known company that only sells one camera along with mounts that rival the best in the action camera market. 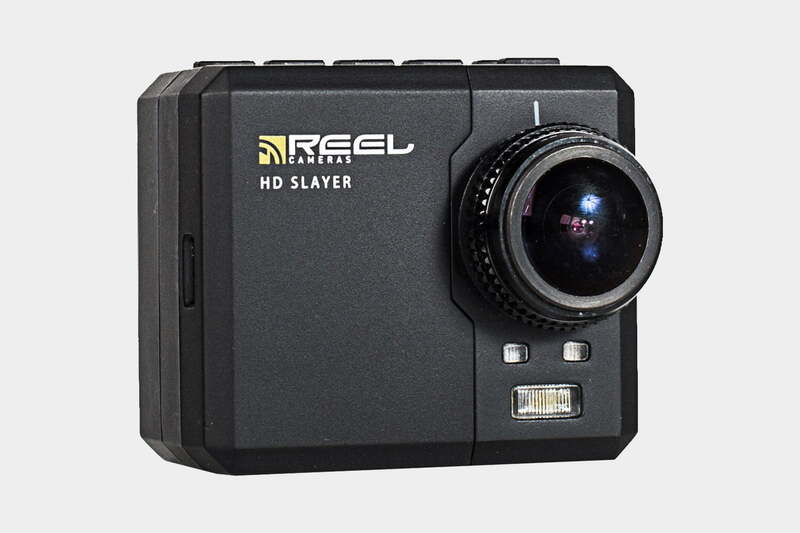 The HD Slayer camera features changeable lenses, low light and underwater settings, built-in LED lighting, as well two SD card slots. The camera company is based out of Idaho and has been continually growing since the release of its first prototypes. It still has the small company feel and welcomes all customers to be a part of the Reel Camera community by uploading videos to its website. Point 6 socks are the perfect sock company for any activity. 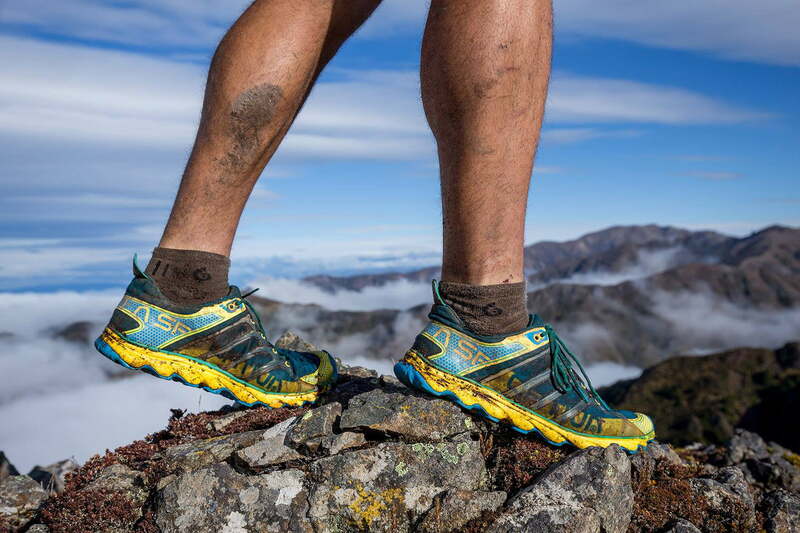 In an industry as crowded as a sock drawer, Point 6 is a relatively new company started by the creators of Smartwool (now owned by Timberland) and continues to use merino wool for its moisture wicking properties. The socks have no toe seam and are reinforced up through to the upper with sport specific padding. The company also guarantees the socks for life, a promise that is rare in the sock world. When the first pair gets a hole in it, send it back and Point 6 will send out a new pair with no questions asked. The company started when the owners came out of retirement when they saw the quality of name brand outdoor socks deteriorating. This company is truly about quality and stands behind it. Navigating a trail with a separate GPS is now a thing reserved only for the most specialized applications. With the increased accuracy of smartphones and the ever growing number of apps, there is no need to carry a separate GPS. Guthooks is a location app that has furthered the navigation app world of smartphones. 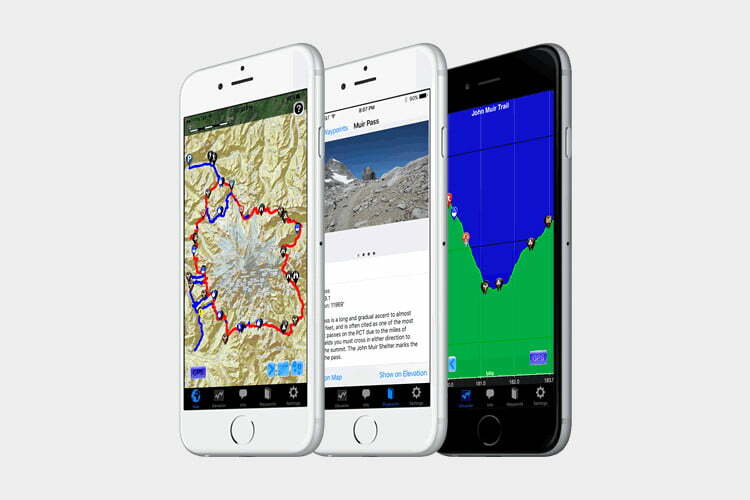 Guthook has a multitude of trails and regions ready to download right to your phone. The app will then work even without service and still accurately display the current location along with the downloaded maps. The app currently has 18 different trails and locations available ranging from San Jacinto and the New England trails system to the Camino and the Pacific Crest Trail. Guthook didn’t stop at navigation software though. Water sources, points of interests and road crossings are loaded along the route with a detailed description of how to reach each. The users of Guthook can comment on each waypoint on the quality, accuracy and reliability. Guessing which water sources are running is now a thing of the past. From Everest to every long trail in America, these packs have seen everything. Unlike many companies that make backpacks, durability and comfort and the main principles in Granite Gear’s design. Simplicity and functionality separate them from competitors. For example, the Lutsen series features a pack stripped down to the essentials, no unnecessary pockets, straps or zippers, and thus the pack is nearly a pound lighter than a comparable pack from competitors. The Nimbus Trace Access line features a frame sheet made with a maple-core composite laminate that is strong, light, and natural. The company started in response to failing gear on a trip in Minnesota and has since met continually the demands of its customers. 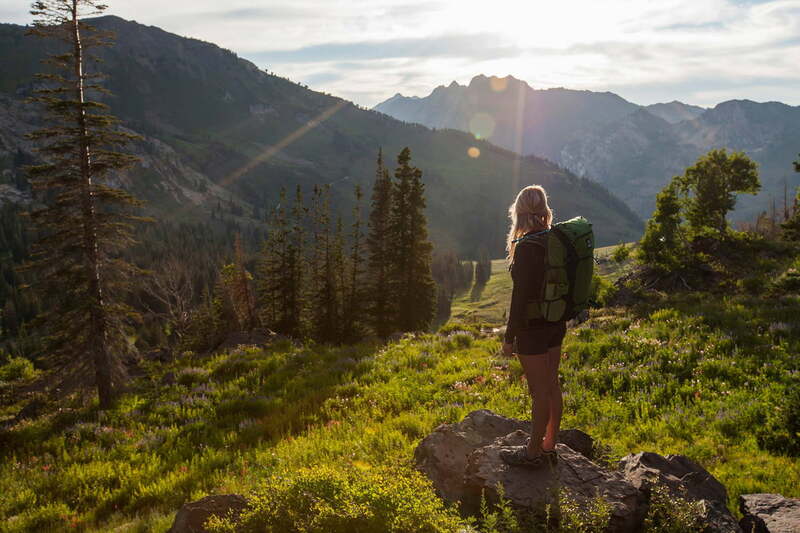 Now based out of Asheville, North Carolina Granite Gear has expanded its product line to include more accessories along with a more diverse range of packs to include every lifestyle. Their packs have been to Afghanistan and both the North and South Pole.